Because I have to organize something that I'm going to say. This is archive picture day. I took this on my first day of the trip to Australia last year. It was off season as it was Winter there, and the weather was just in general cold, wet, and dreary. 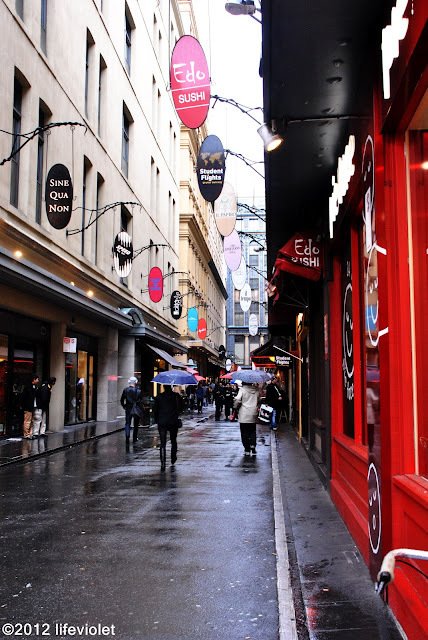 This is downtown Melbourne, just off the street from where we parked. By the way, that parking lot was likely one of the most expensive one we could have possibly found, but of course we didn't realize that until later.